Vulcan is the Roman God of fire. Comparable to the Greek deity Hephaestus, Vulcan was worshipped for volcanoes, metalworking, and the forge. In Ancient Rome, August 23 was the Volcanalia, when the heads of Roman families would throw small fish into the fire to commemorate this figure. While these rites for averting destructive fires remain archaic pastimes, the name Vulcan has held usage to describe several relatively commonplace things. For a certain sector of people, it describes a fictional extraterrestrial humanoid species, planet, and nerve pinch. Even more widespread is the fact that the English word volcano derives from the Italian vulcani, which itself comes directly from the god of fire. Similarly, the French word for volcano is volcan. However, in industry, the term vulcanized rubber retains prime adoption of the word. In fact, the vulcanization process blesses rubber with heat and a curing ingredient—usually sulfur—in a manner almost suitable for Volcanalia. In the mid-1800s, rubber was so versatile that it appeared to be a wonder material. However, not all the astonishing qualities of rubber that we see today were present with the material at the time. Rubber derives from Hevea brasiliensis, or the rubber tree, which oozes a runny, milky white liquid known as latex when its bark is removed. Latex can undergo treatment to be hardened into rubber. At the time, rubber suffered from a fatal flaw: it melted in the summer and cracked in the winter, rendering it practically useless for half the year. Charles Goodyear set out to remedy this problem during the 1830s, when the future for the rubber industry looked bleak. Unfortunately, this pursuit swallowed years of Goodyear’s life, as his obsession with rubber put his family in debt. In financing his experiments to make rubber more suitable for industrial use, Goodyear ran out of money. He sold his family’s furnishings and even his children’s textbooks. His own health was also a rampant sacrifice; during this time, he inhaled fumes of nitric acid, lime, and turpentine. Following a tumultuous half-decade, Goodyear’s luck took a turn in 1839 when he accidentally combined rubber and sulfur on a hot stove. He was shocked to find that the rubber didn’t melt, and, when the heat was raised even further, it hardened. Over the next several years, Goodyear successfully recreated the chemical formula and perfected the process of blending sulfur and rubber at a high temperature, patenting it in 1844. In naming this process, he chose to call his discovery vulcanization, after the Roman god of fire: Vulcan. 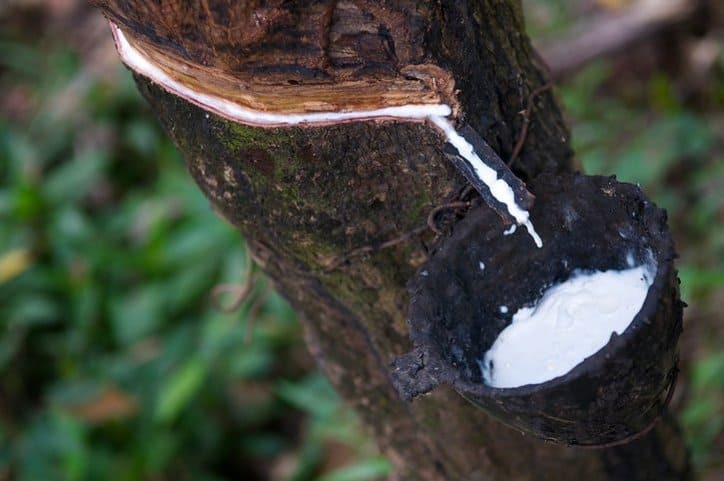 Today, rubber comes both naturally from the rubber tree and from artificial sources. Vulcanization remains crucial for making rubber stronger, and vulcanized rubber is often the type of the material in contact with the average person. Due to its high strength, elasticity, durability, and waterproofness, vulcanized rubber comprises vehicle tires, apparel, sticking plasters, and adhesives. 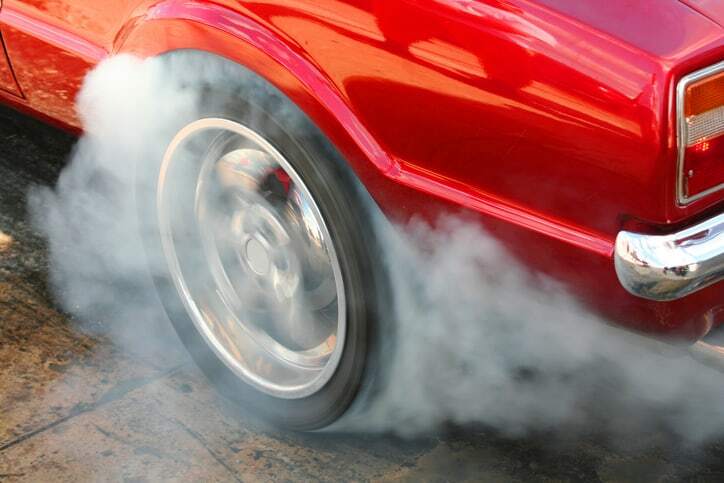 Unsurprisingly from its prominence in industry, vulcanized rubber is highly standardized. For example, ASTM D412-16: Standard Test Methods for Vulcanized Rubber and Thermoplastic Elastomers—Tension details procedures for evaluating the tension of vulcanized thermoset rubbers and thermoplastic elastomers. In addition, ISO 37:2017 – Rubber, vulcanized or thermoplastic – Determination of tensile stress-strain properties is used for determining the tensile stress-strain properties of vulcanized rubber. Documents like these can be integral for measuring some of rubber’s intrinsic qualities. You can also find other vulcanized rubber standards by searching the ANSI Webstore. I never knew that during the vulcanization process the rubber is blessed with heat and a curing ingredient. My friend once observed a vulcanization process. Thanks for the information on how this process works and how it is used.